An unparalleled viewing experience: Your 2-in-1 will shine in any professional setting with 13.3 inches of Full HD finished with CorningÂ® GorillaÂ® Glass 4. Plus, youâ€™ll see more details with fewer interruptions with a narrow bezel designed for greater productivity. Work your way: Stay engaged during your day and discover outstanding flexibility with a touch screen that lets you quickly access applications or use an optional active pen for fast note taking. The active pen enabled by Wacom technology creates a more lifelike pen to paper experience with less lag and it attaches magnetically to your 2-in-1 so itâ€™s always nearby. Performance without compromise: The latest 7th Gen IntelÂ® Core i processors deliver the same powerful performance of a laptop in the flexible design of a 2-in-1. Fits anywhere: At only 3.1lbs, your 2-in-1 travels wherever you do. Itâ€™s thin and light enough to fit in any carrying case that works with your lifestyle, from briefcases to gym bags. Simply grab it and go without being weighed down. Protect your credentials: The Dell ControlVaultâ„¢ 2.0 secure processor provides exceptional authentication capabilities. It stores and protects your passwords, biometric authentication and security codes, so your credentials will be secured no matter where your work takes you. Smart security: The Latitude 7389 2-in-1 offers multiple security options to meet your diverse security needs. Features include essential multi-factor authentication hardware such as touch fingerprint reader, contacted FIPS 201 Smart Card Reader and Contactless Smart Card Reader NFC with Control Vault 2â„¢ FIPs 140-2 Level 3 Certification to prevent unauthorized access. On-the-go defense: IntelÂ® vProâ„¢ manages and protects your device from software attacks. 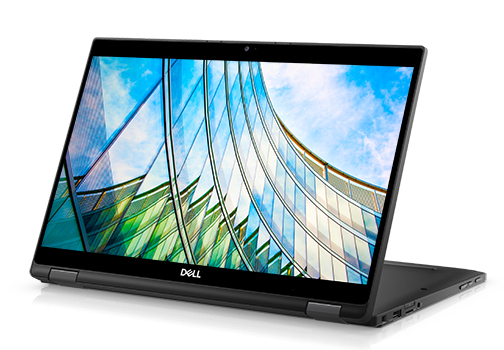 You can diagnose and repair your Latitude 7389 2-in-1 remotely, all while reducing power use. Dell Dock | WD15: Power your Latitude and connect to up to two Full HD displays and other peripheral devices with a single DisplayPortâ„¢ over USB Type C cable. Dell Wireless Dock: Wirelessly expand your workspace with IntelÂ® WiGig and connect to multiple accessories and displays.